adidas Originals Gazelle Trainers In Core Black, Lace fastening in core black with smooth core black leather uppers. Slim synthetic tongue in core black with an embossed Adidas Trefoil logo in black and a black leather panel is on the heel with an Adidas Trefoil logo printed in black. 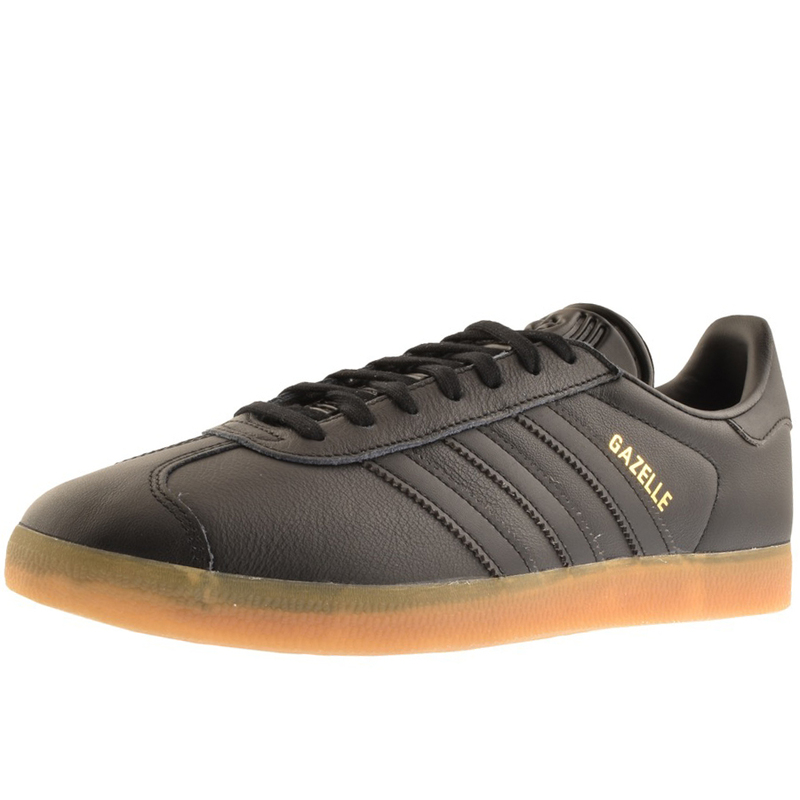 Adidas signature serrated Three Stripes design in black on the instep and outstep and the Adidas Gazelle logo is in metallic gold on the outstep. A thick vulcanised rubber sole in gum brown. More Amazing Adidas Originals Trainers and Flip Flops Live Online.